RESOURCES FOR efficient processes, happy teams, and lasting client relationships. Digital project management shouldn't be difficult, but that's not always a reality. That's why I’m dedicated to delivering quality, specialized content to help you overcome project challenges. I'm Brett Harned and I'm here to help you deliver project management tactics that work not only for projects, but for the people involved. I'm the Director of Education at TeamGantt, where I'm building community and helping project managers across the globe to form better practices. I’ve been a project manager in the digital space for almost 20 years, most recently as an independent consultant helping agencies and organizations in various industries deliver projects on time and under budget. 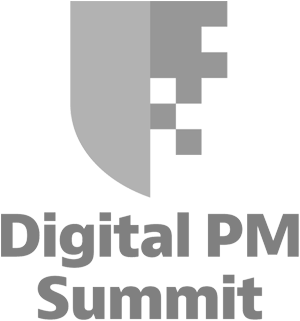 I also created the Digital PM Summit, an annual conference for digital project managers, and speak internationally at events about priductivity and project management. I publish articles regularly right here, but also wrote Project Management for Humans, published by Rosenfeld Media in July 2017. I have also have been published by several websites and publications including net Magazine, TeamGantt, coax, and more. I founded and organize the Digital PM Summit, the first conference for digital PMs. I’ve also spoken at conferences like SXSW, Future of Web Design, and Owner Summit. I've also hosted a number of independent workshops and have curated and hosted Ground Control and Deliver Conference. Looking to up your PM game or provide support to a PM on your team? Let’s talk about personal and organizational goals and act on them together. I've developed several workshops for conferences and organizations. Get in touch to discuss potential topics and details. Project management—it’s not just about following a template or using a tool, but rather developing personal skills and intuition to find a method that works for everyone. I wrote this book to help everyone manage projects like a pro. So, whether you’re a designer or a manager, Project Management for Humans will help you estimate and plan tasks, scout and address issues before they become problems, and communicate with and hold people accountable. Want to talk about project management? Get in touch.